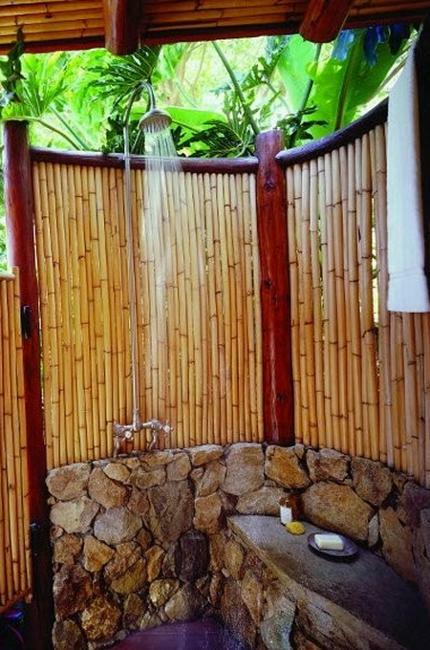 Outdoor showers are romantic and fun. 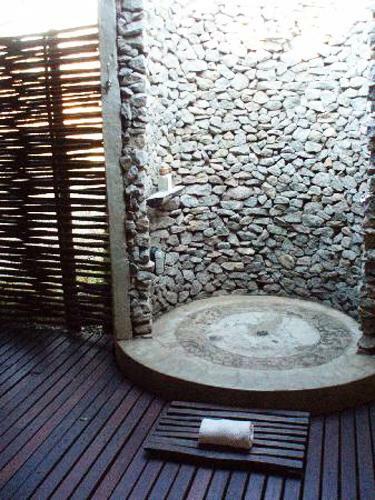 Made with natural materials, like wood, stone, concrete or tiles, outdoor showers add convenient and practical designs that make homes more comfortable and unique. 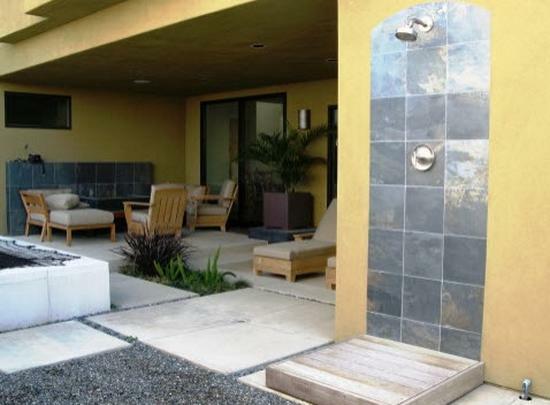 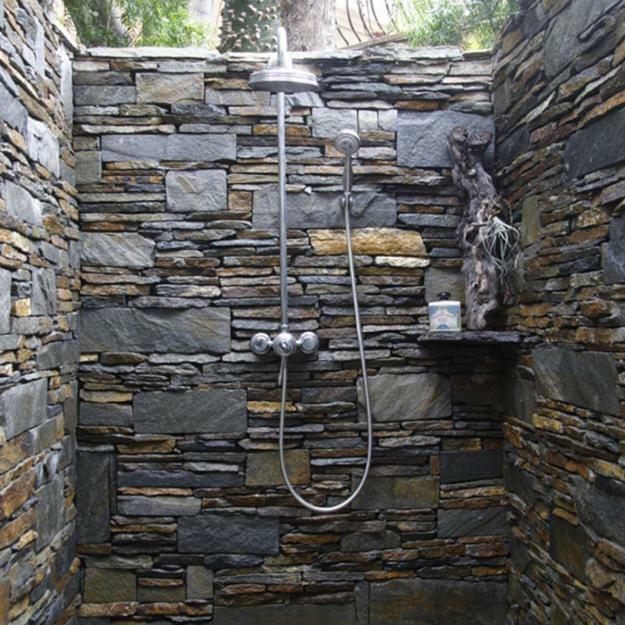 Lushome shares inspiring shower design ideas that demonstrate how to use natural stone, beach pebbles, rocks, concrete slabs and ceramic tiles to create wonderful places to enjoy the water on a hot day. 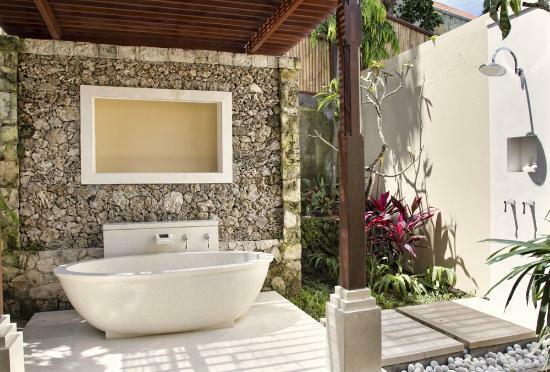 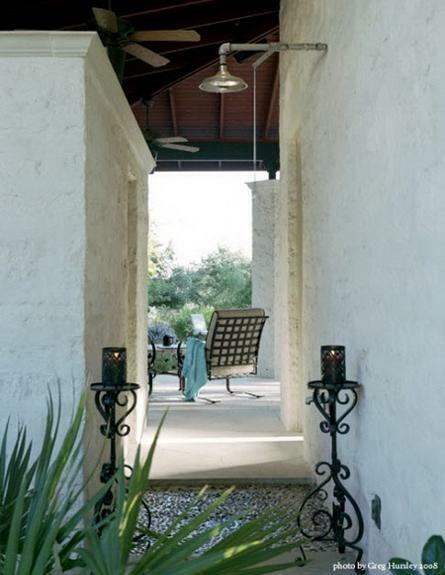 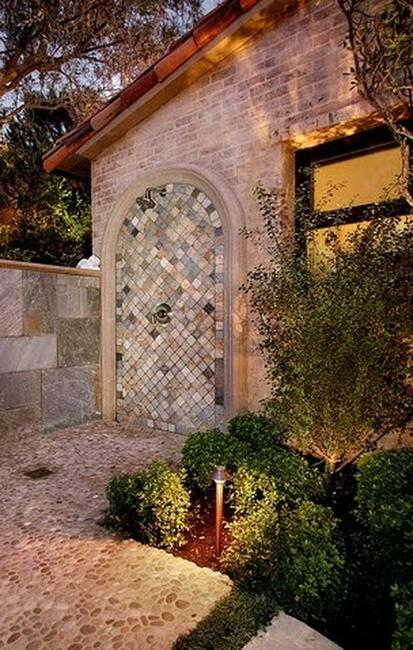 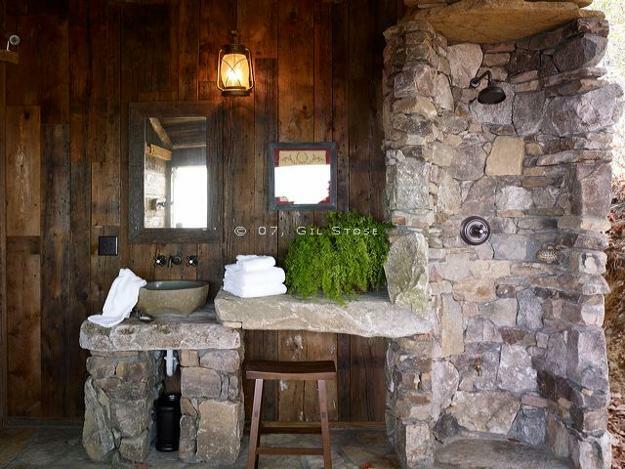 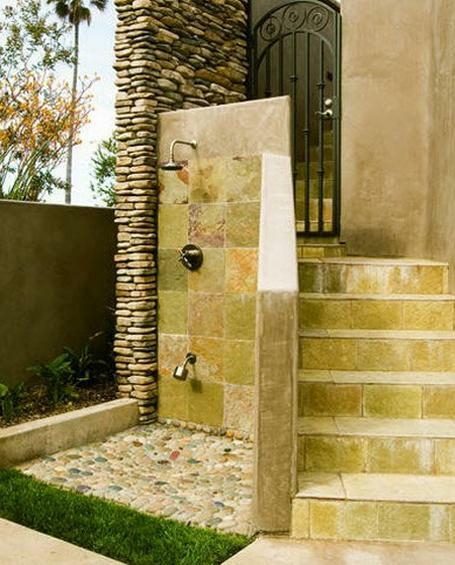 Open and beautiful tiled and stone walls create wonderful outdoor showers. 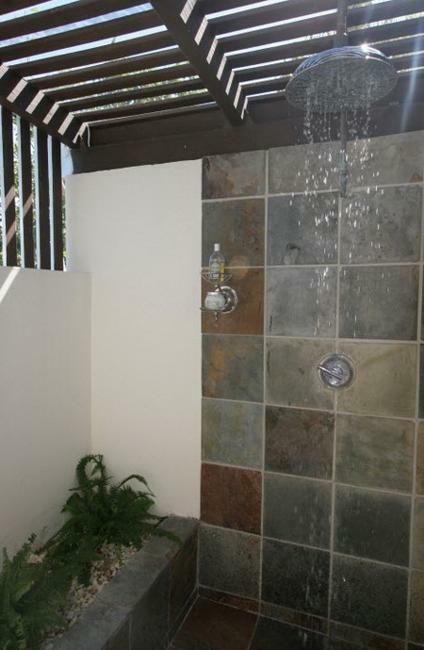 Free flowing air that come into shower enclosures and through the structure of outdoor showers helps keep the ground and shower walls dry and make the showering experience more pleasant. 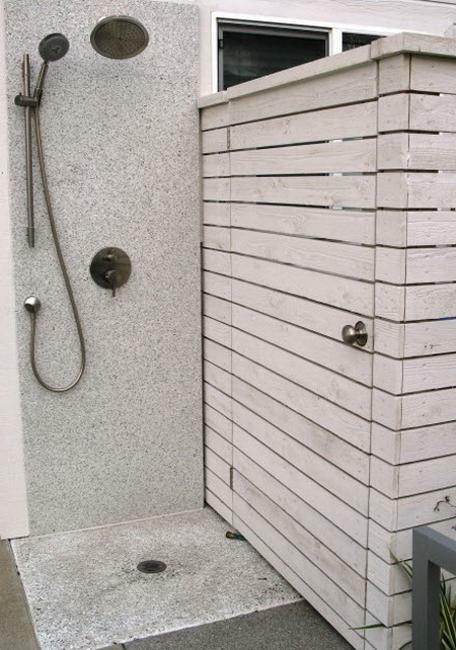 The natural materials used for the outdoor shower designs are similar to fencing, from high quality wood and metal to natural stone and concrete. 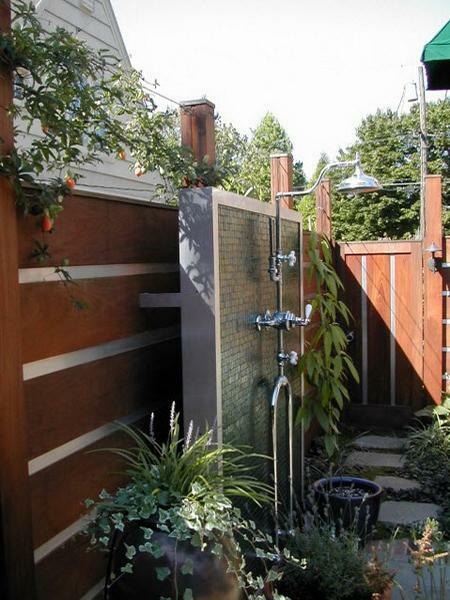 Glass blocks are an amazing building material for outdoor showers also. 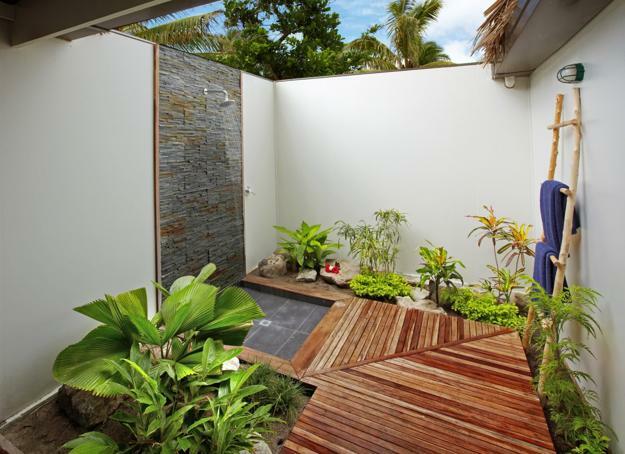 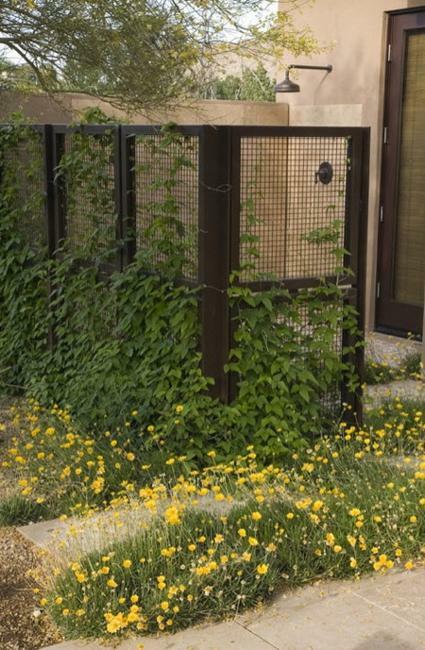 If you are worried about privacy, you can use wooden screens with climbing flowering plants or take a shower in a bathing suit on. 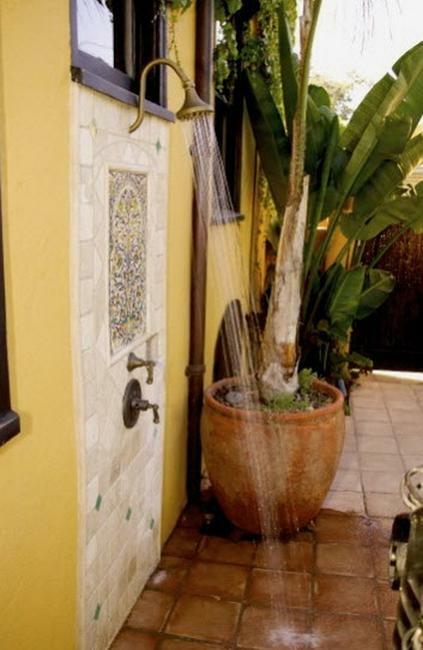 Keeping outdoor shower design open allows to experience the outdoors fully without feeling like showering indoors. 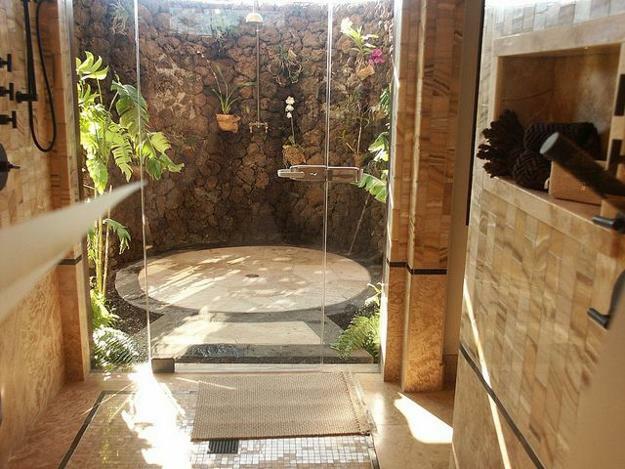 However, the location of your shower is important if you want to enjoy privacy under the sun. 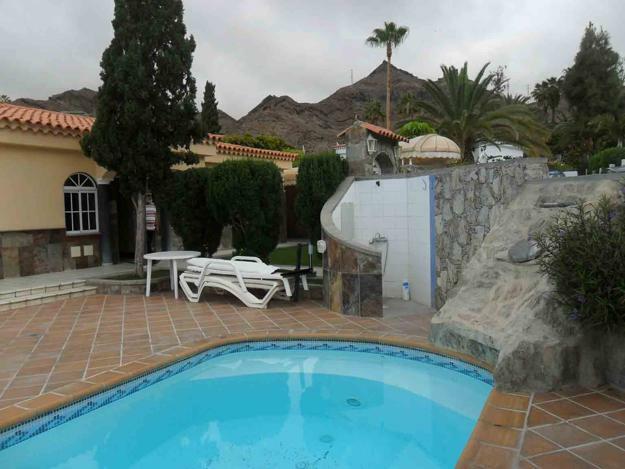 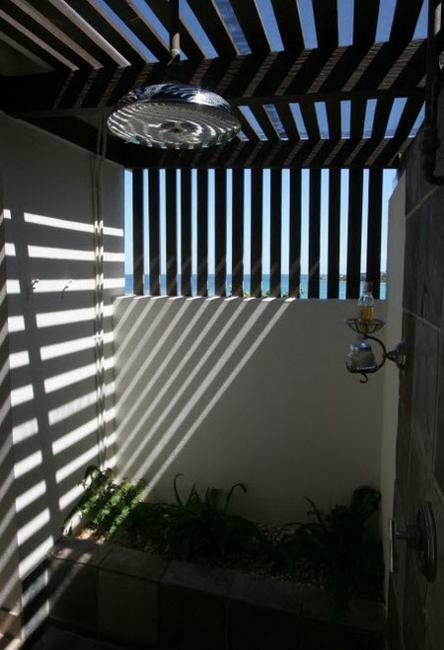 Stationary outdoor shower designs are built into the ground or swimming pool deck. 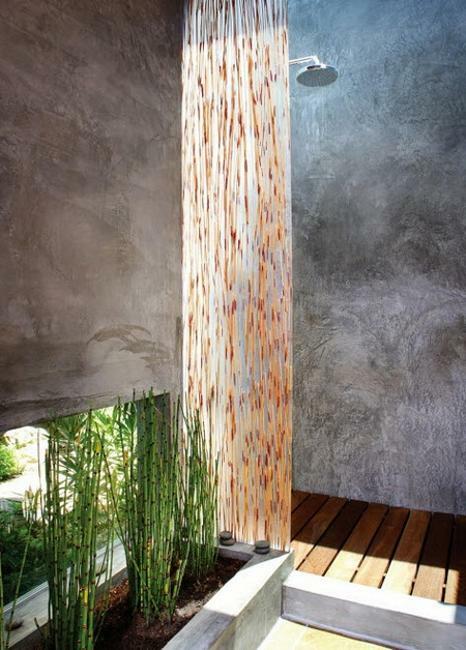 These shower design ideas are more expensive and have made with stones, bricks, beach pebbles and concrete walls which can be decorated with tiles. 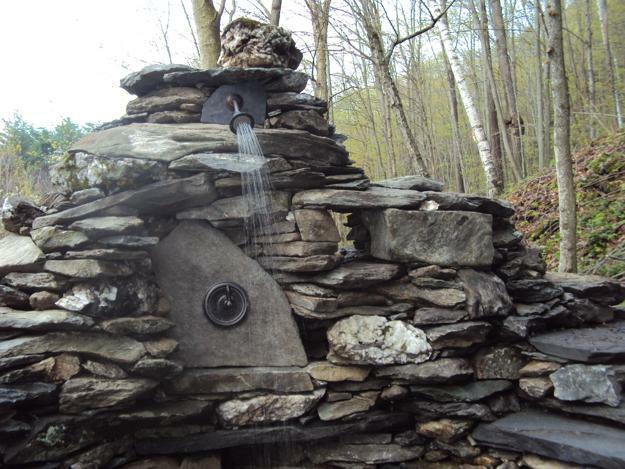 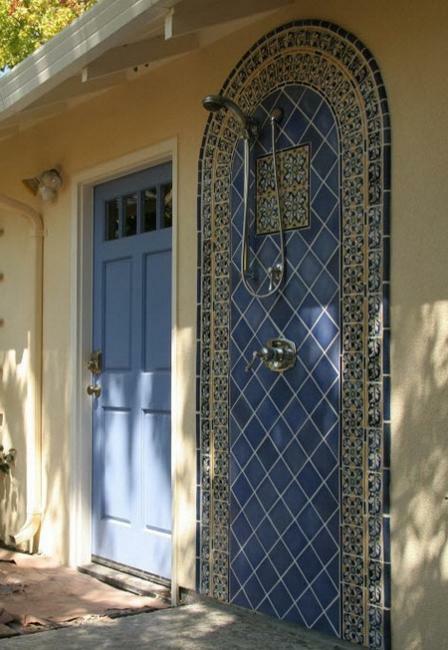 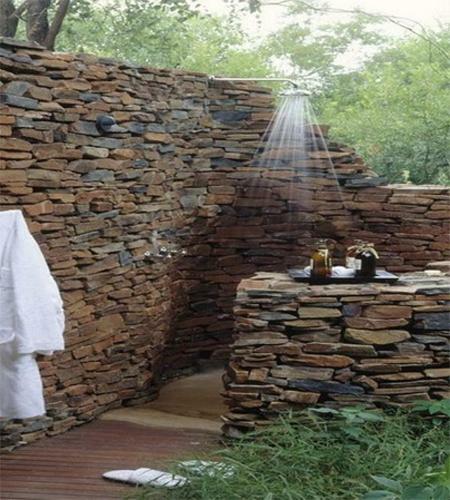 Outdoor shower designs built with stones can be expensive, but very beautiful. 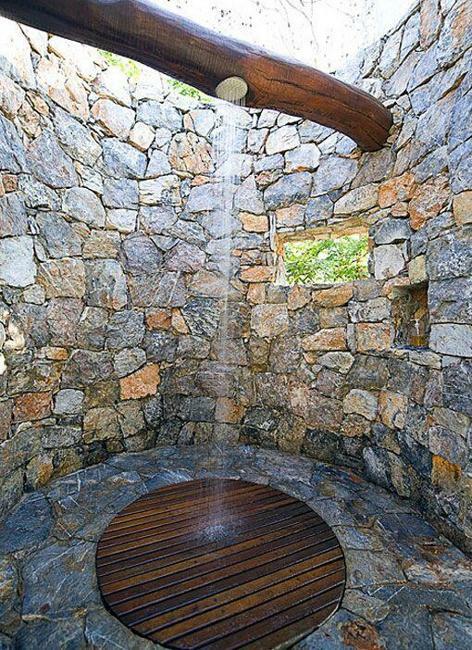 A nice look and strong design ask for smart ways of hiding pipes. 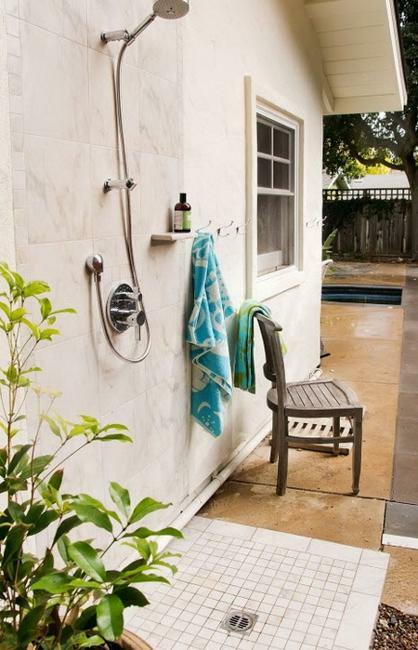 Some outdoor showers have exposed stainless steel piping which adds more character and retro modern vibe to these outdoor shower designs. 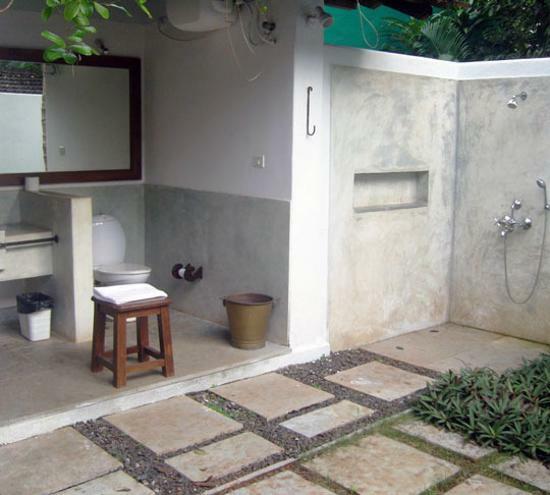 Stationary outdoor showers can have cold and hot water. 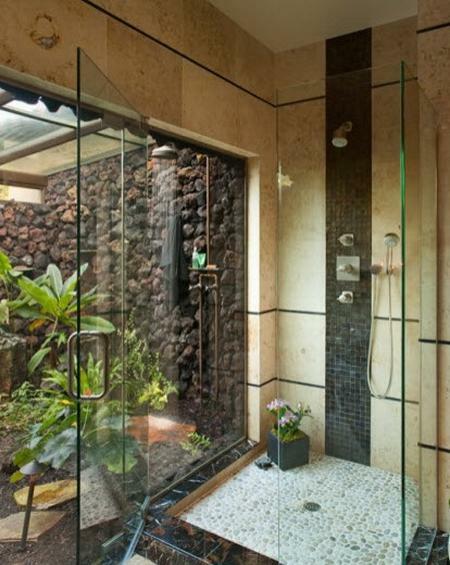 You can run the pipe line to wherever you want the shower to be from your house. 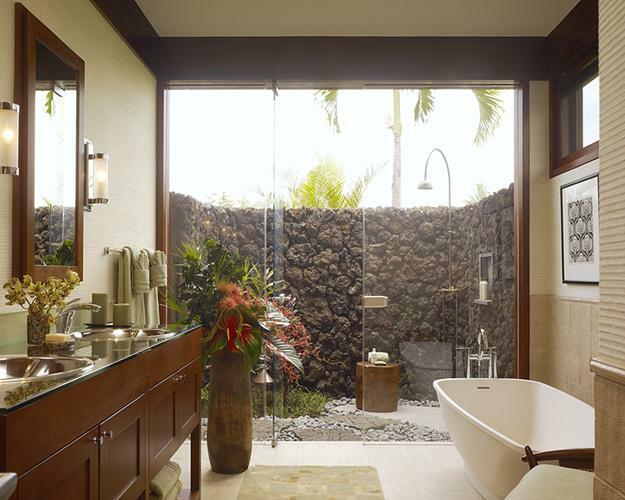 It increases the cost of your shower building and installation, but the comfort and convenience justify the costs. 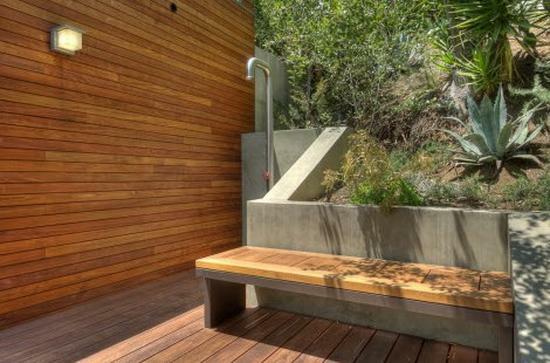 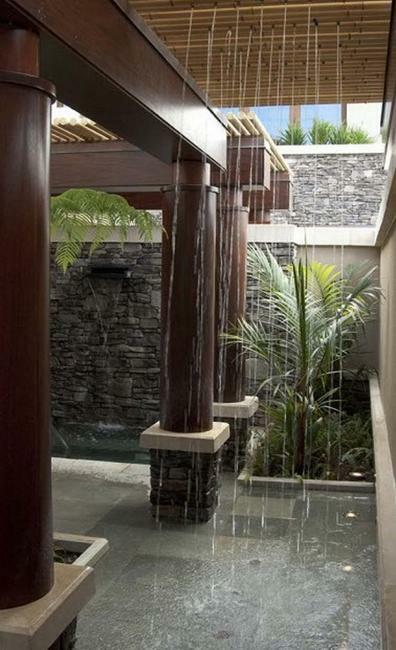 Outdoor shower designs are popular and modern ideas that improve backyard designs and add more fun to outdoors.